Private Taxi to Riu Reggae from Montego Bay airport is one of our signature transfers. Best Jamaica the most, guest-centered Tour Company on the island offers top quality airport transfer to Riu Reggae like no one else. Your private shuttle transfer from MBJ Airport to Riu Reggae is available at the lowest rates ever; compared to other service providers, our rate and service is second to none. All this is because Best Jamaica is the best transportation service in Montego Bay with impeccable service delivered with first-class standards especially for you, our valued guests. In addition to your transfer from MBJ Airport to Riu Reggae you will also have access to our free tour planner who will help you to plan a fantastic day trip while on the island. Imagine having the time of your life while in Jamaica and having to bear the details of the terrific stories about your trip until you return home to share it with your loved ones; such memories will be cherished forever. This is the usual effect of tours planned by Best Jamaica; we endeavor to supersede expectations- always. Q: What type of vehicles do you use for airport transportion to Riu Reggae? A: Best Jamaica uses modern Toyota mini-vans for all private transfers and tours. All our vehicles are comfortable, spacious, fully air-conditioned and kept in immaculate condition. Q: What form of payment do you accept for private airport taxi service to Riu Reggae Montego Bay? A: We offer three (3) easy payment options for our private taxi service to Riu Reggae, (Payment in cash after each transfer, payment with a credit card when you arrived or pre-paid payment via PayPal. Q: Do you offer private tours from the Riu Reggae? A: Best Jamaica does offer private tours from the Three Sister Resort: Riu Reggae, Riu Palace and Riu Montego Bay. Our rates are competitive and our service is impeccable; unmatched by any other provider. Q: Should we exchange our money to the Jamaican Currency or USD is accepted? A: The Jamaican Dollar (JMD) is the official currency of Jamaica; however the USD is widely accepted. In fact in most cases if not all, rates will be quoted in USD and it will cost less to pay in USD than in JMD due to the variances in the exchange rate. Q: How far is Negril from the hotel? 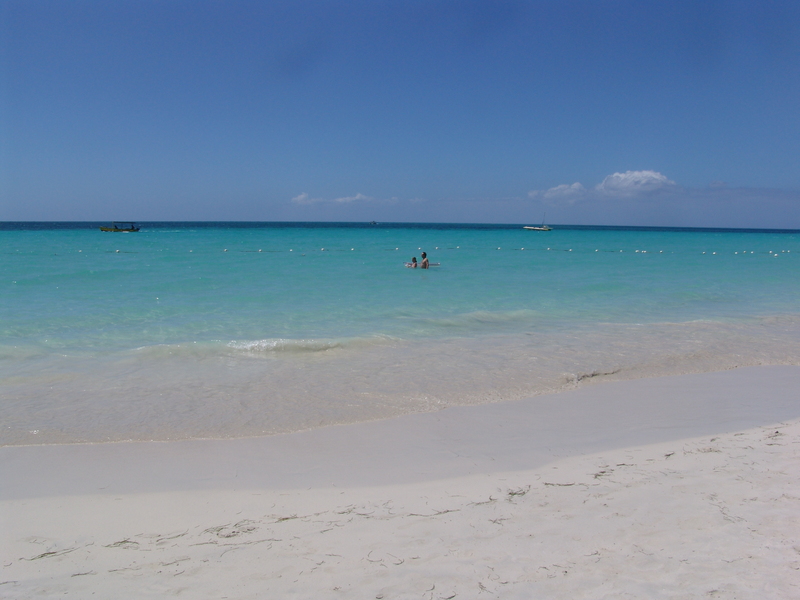 A: Negril is about 70 minutes driving west of the Riu Reggae. Best Jamaica offers private tours to Negril which is home of the Seven (7) Mile Beach and Rick’s Café for cliff diving. Q: How far is the Secret Falls Blue Hole from the hotel and do you offer tours to this location? A: The Blue Hole is about 90 minutes east of the hotel nestled in a small community called Lodge, just outside the town of Ocho Rios. Best Jamaica does offer uncompromised private tours to this exceptional waterfall; it is a favorite of many visitors. Airport to Hotel Riu Reggae Private Airport Taxi Rate 5-Pax and over $5 per person each way. MBJ - Riu Reggae Montego Bay airport transfer rate.